WE have been holding interviews at work for a trainee reporter. All these earnest young men and women troop through our doors, clutching their cuttings, and are put through their paces. We trust in providence – and the editor - that the best candidate has been selected… but you can never be sure. Intelligence, writing ability, interviewing skill and network of contacts all help but they are never the full story. You can still get lumbered with someone as pleasant to work with as a typhoid carrier. 1. 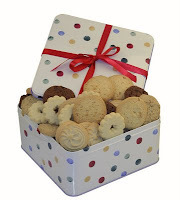 How often would you bring a tin of biscuits to work? 4. Are you full of useless bits of information, like who won the FA Cup in 1992 or who sang Lipstick on Your Collar? It’s very important to be well-versed in trivia for random office conversations. a. As soon as I sniff the barmaid’s apron. b. I once drank Oliver Reed under the table. c. Somewhere in between a. and b. Only c. is an acceptable answer. People who answer a. or b. are a pain to go out with, a. because you have to look after them all evening and b. because they cost too much. 6. Can you listen to long and tedious stories from older colleagues without yawning or raising your eyes to heaven in that, “What’s the boring old fart on about now?” kind of a way? 7. Do you know any celebrities about whom you can gossip? Exaggeration is perfectly acceptable, although there must be a glimmer of truth in the story. 8. Are you a smart arse? Smart arses who always think they are right are certainly not acceptable colleague material. There's only one person in this office who is always right - and you're talking to her. 9. Do you mind colleagues taking the piss out of you mercilessly – about your clothes, hair, age, choice of music etc? 10. Do you own any weapons (very important, especially if the answer to 9. is yes)? Ha ha, I think you should be doing the interviewing behind closed doors from now on and keep it strictly confidential. Mum's the word! Do pay the a decent salary, though. The deserving ones, anyway. If you hire me as a trainee reporter, I'll bring lots of biscuits. And Friday cakes from M&S. If I can't come to work for you, can you come and interview for me? Brilliant selection of questions, Table. Have you selected teh right candidate yet?! Ace questions. Have they put you in charge of interviewing yet? Can I come and work with you please? You can bring the biscuits on Mondays and I'll bring cream cakes on Fridays. If they can't play Name-that-tune, they should just stay home. ah yes. we like cookies in the newsroom, too. Sounds like a super place to wrok but I may have a problem with question number 8 - I am a bit of a Know it All. I'd have to try and bluff in interview . . .
As you can see - my typing skills and proof reading skills would let me down though. . . I meant a super place to WORK! 1. I'd bring in a new tin of biscuits as soon as the previous one was half way through its last layer. 2. The biscuits contained therein would be a mixture of dark, milk and white chocolate with only a few plain ones, for those on diets. 3. The only anti-social habit to which I'll admit is an addiction to innuendo but I'd also ask for laughing filthily at anything vaguely smutty to be taken into account. 4. I am full of mostly useless bits of information, usually inaccurately remembered. This is quite useful for starting pointless office arguments and discussions. 5. Definitely somewhere between a and b. 6. This shouldn't be a problem as I'll be the one telling the long and tedious stories. 7. I can dish the dirt with the best of them - but you'll have to give me the job to find out what I know about whom. 8. I'd be happy to take my rightful place in the smartarsedness pecking order and recognise that there must be due deference given to seniority where this is concerned. 9. I have three kids - I'm well used to having the piss ripped. 10. Apart from an occasionally sarcastic tongue, no. So ... when do I start? GSW: I'm only on the interview panel when new staff are being recruited for my department, hence we're rarely short of biscuits in my part of the office!. Wine and Words: When can you start? PDEWYMO: Friday cakes from M&S? You can be the editor! Elizabeth M: Unfortunately, I don't often sit on the interview panel - an oversight I'm sure will be rectified when I can bribe someone with a packet of Hob Nobs! Akelamalu: We have a very friendly office so I think my questions must sink in by osmosis somehow! Mopsa: You're hired. Friday is already my favourite work day - now it will be even more special! Maria: I so agree! We haven't played Name That Tune yet, but it's now on the agenda! Laurie: Cookies/biscuits are vital to the news-gathering operation, as I'm sure you agree. Ladythinker: Good idea to bluff in the interview. If you could just tone it down to being a nearly-know-it-all, I'm sure you'd get the job. Teuchter: I've polished your desk, bought you a special notepad and pen, cleared a space for the biscuits, put some coffee on to brew and cleared a (big) space for your biscuits. See you on Monday. Hi, I have a great story about the search for the world's first kettle that I would love to send you but I can't find your email address. Please can you drop me an email and I will send it over. Fantastic forum. Thank you for the chance to share with all you great people. do i take a auto insurance provider to small claims court? The insurer firm rejected my claim, (I would go ahead and take at fault driver to small claims on the other hand I've no address to serve them or send a demand letter). The additional driver was at fault however his particular insurance carrier states there can be a difference with our statements so that they need to take the word of their insured vs. my word. It looks like they acted in undesirable belief and did not accomplish a proper investigation would this be a valid claim in small claims court? I have to have some to blame drivers insurance company (not my own) to small claims for that damages to my car.